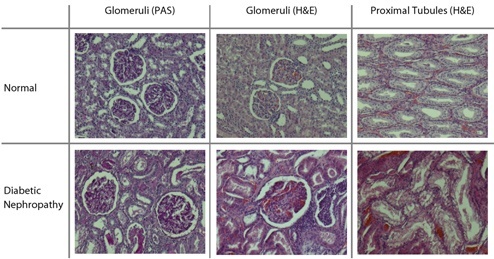 Our spontaneously diabetic NHP models develop diabetic nephropathy with similar phenotypic manifestations as in human patients, including hypergylcemia, glucosuria, albuminuria, and proteinuria, providing the ideal animal model for investigating the mechanisms underlying human T2DM, as well as for pharmaceutical discovery, development, and evaluation of novel therapeutic agents. 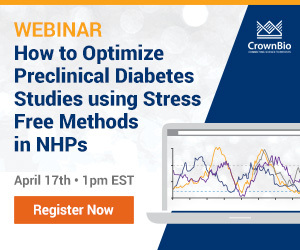 CrownBio has characterized an NHP model of diabetic nephropathy that displays the same features observed in diabetic nephropathy patients with similar molecular, cellular, biochemical, and pathophysiological mechanisms. The diabetic nephropathy phenotype is observed in both genders of NHPs, and is associated with both increasing age and diabetes severity. We have further characterized our diabetic nephropathy NHP model by transcriptome analysis on kidney specimens. 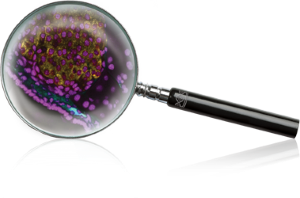 Our analyses on Differentially Expressed Genes between normal, diabetic, and diabetic nephropathy NHPs, found a kidney failure, renal, urological, and inflammatory disease related network, around the pivotal tumor necrosis factor (TNF) gene, indicating that diabetic nephropathy is a disease closely related to inflammation and cell death.